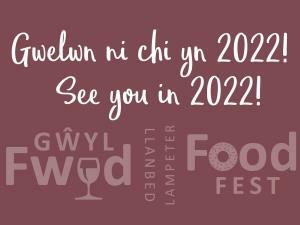 The annual Lampeter Food Festival at Lampeter University promises a lively programme of cookery demonstrations from local chefs which will be running all day long where you can taste the dishes and feel inspired to try the recipes at home. A lively programme of cookery demonstrations from local chefs will be running all day long in our cookery tent where you can taste the dishes and feel inspired to try the recipes at home. There is limited parking on the University campus, which is sign posted, but there are also pay and display car parks in the town. Disabled parking very close to the Festival; please follow the signs. By Car: Lampeter is situated in the Teifi Valley at the junction of the A482 and A485 roads, approximately 1 hour from Swansea, and 45 minutes from Carmarthen or Aberystwyth. There is free on street parking in Lampeter, and a free car park at the Cwmmins, and Pay and Display car parks at the Rookery and Market Street. There are very limited parking facilities for disabled badge holders only in the university grounds. By Bus: Lampeter is served by good bus services which connect with Arriva Trains at Carmarthen and Aberystwyth. By Train: The nearest railways stations are Carmarthen and Aberystwyth. For more travel information, please visit Traveline Cymru or call 0871 200 22 33.